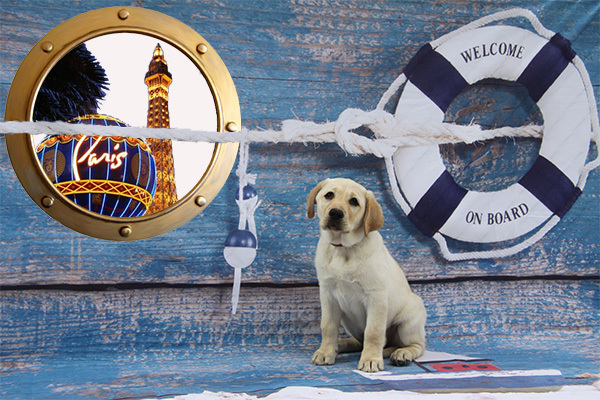 Guide Dogs of America’s annual Las Vegas charity weekend is on the horizon and arrives November 15-17, 2018. Purchase an ad in the official William W. Winpisinger Charity Banquet program for your organization, district or local lodge today. The deadline for program ads is October 31, 2018, so don’t delay. It is a great way to have your group recognized and support GDA at the same time. Register early to guarantee space for you and your group. And don’t miss the deadline for your program ad. The weekend’s other activities include a sporting clay event and motorcycle ride on Thursday November 15, and a golf tournament on Friday November 16. Dress in “cruise casual” on Saturday November 17 for the 38th annual William W. Winpisinger Charity Banquet at the Paris Hotel. The evening will be a “bone voyage” party.